Lady Gaga in Japan, to promote new album ‘Joanne’. – Dream Of Gaga | Your #1 Lady Gaga Fansite For Your Daily Gaga Fix By Jim Varounis. Lady Gaga in Japan, to promote new album ‘Joanne’. rDozens of screaming fans holding banners and posters greeted U.S. pop singer Lady Gaga in Tokyo on Tuesday as the Grammy Award winning songstress arrived in Japan to promote her U.S. chart-topping album “Joanne”. Dressed in a backless-black outfit and pink hat – an accessory she wears on the “Joanne” album cover – the singer-songwriter signed autographs and thanked fans for “inviting me back”. After this, the singer was in yet another pink hat at a promotional press conferrence in Tokyo, on Wednesday. The star posed in the stetson-inspired number with a silver band, matched with a bubblegum blazer. Lady Gaga stuns on X-Factor UK with ‘Million Reasons’. Lady Gaga performs at the 2016 American Music Awards! Watch Lady Gaga perform “A-Yo,” & “Million Reasons”, on “SNL”. Lady Gaga Nails ‘The Star-Spangled Banner’ At Super Bowl 50, For America. 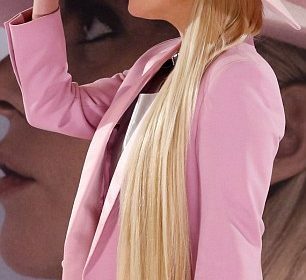 ← Το “JOANNE” κατακτά την κορυφή των charts!